Hello! I'm Sooty - I'm a teddy bear. I'm five years old and was born in Blackpool. 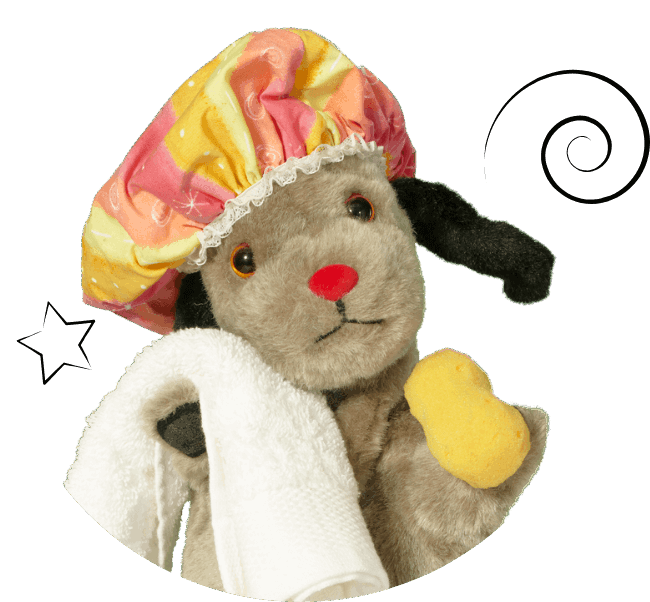 I love playing with my water pistol and soaking my best friend, Sweep! 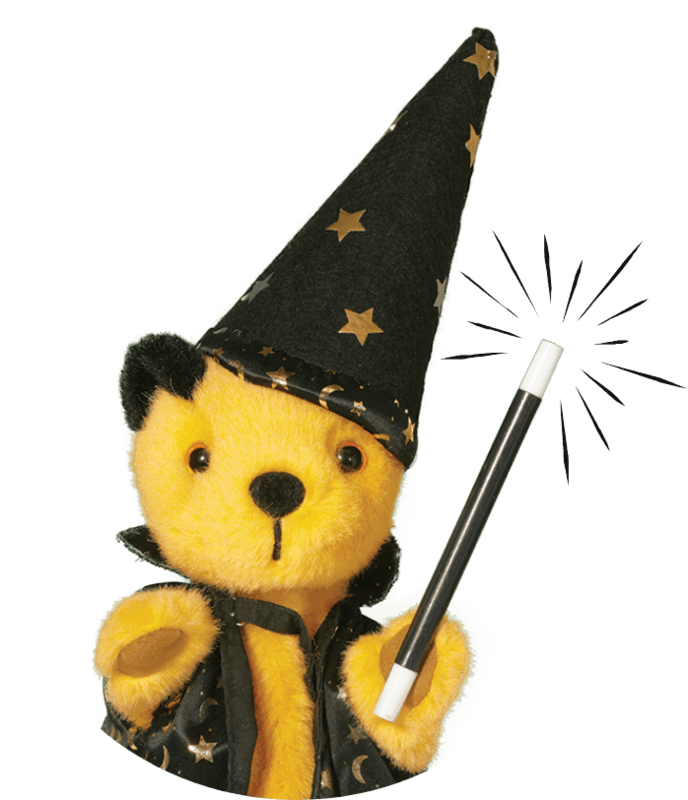 I have my own magic wand and perform lots of tricks with my special spell, Izzy Wizzy Lets get Busy. I also play the drums in my own band. I live with my best friends, Soo, Sweep and Richard and I love playing tricks on them all! I'm Sweep! I'm four years old. I'm a dog but I talk with a squeak! My favourite food is sausages, and in my spare time I like to think about sausages, look at sausages, and tell other people about sausages! I live with my best friends, Sooty, Soo, Richard, and my favourite sausage. I sing and play the guitar and would love to be a pop star. Hello, everyone! I'm Soo. I'm a panda. I love colouring, collecting shells and dressing up as a princess. One day I'd like to have my very own Pony. 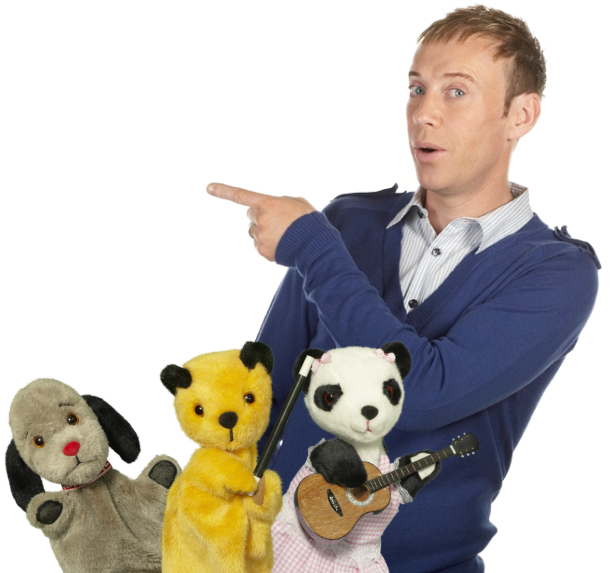 I sing in Sooty's band and a play the keyboard. I live with my best friends, Sooty , Sweep and Richard. My dream is to be a ballet dancer! Hi, everybody! Richard here! 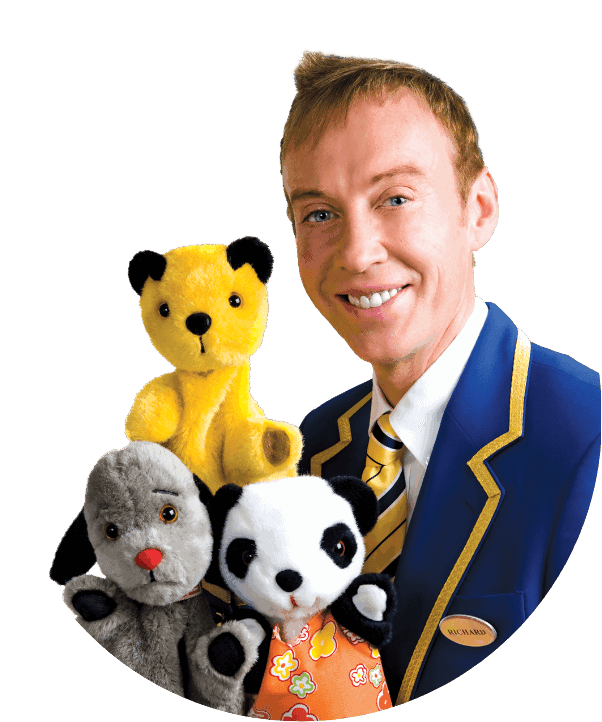 I work at Slater's Holiday Park and live with my best friends, Sooty, Sweep and Soo. 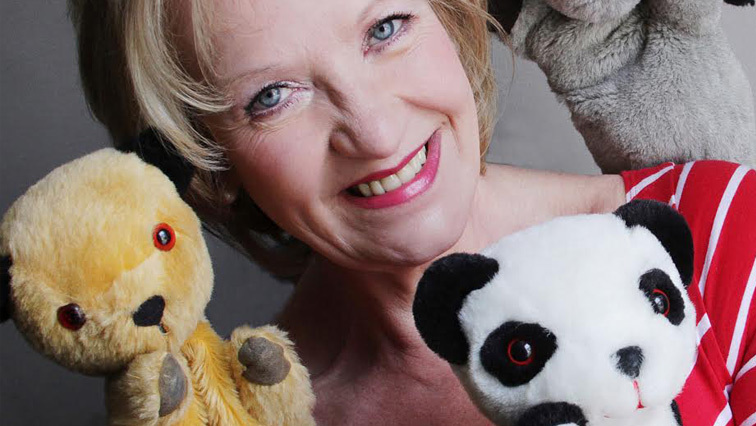 When I'm not getting squirted by Sooty's water pistol, or falling over one of Sweep's bones, I like to sing, dance, make models out of matchsticks and perform expert gymnastics. Sooty says I'm a big head - but I think I'm brilliant! 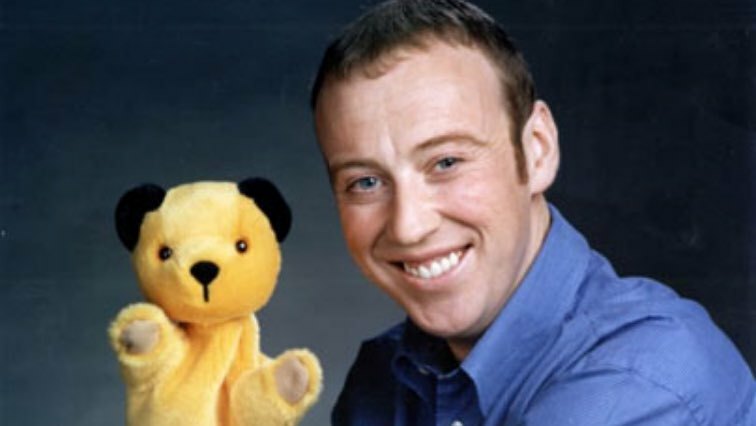 On July 19th 1948 Sooty is discovered by Harry Corbett in a joke shop on Blackpool North Pier. 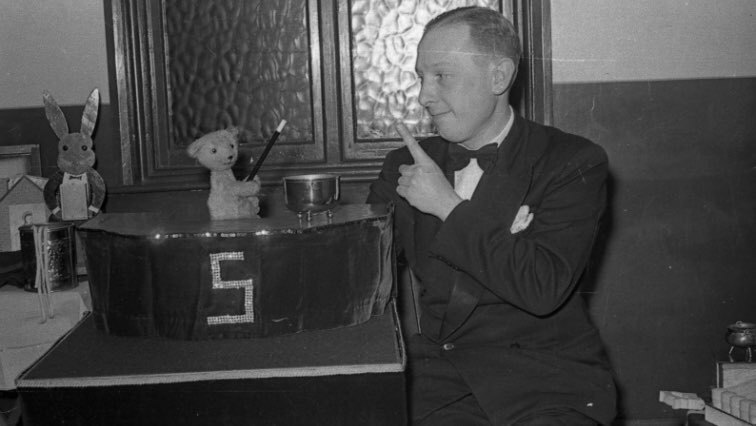 This is the earliest photograph of Harry performing with Sooty. Notice Sooty is yet to get his black ears. 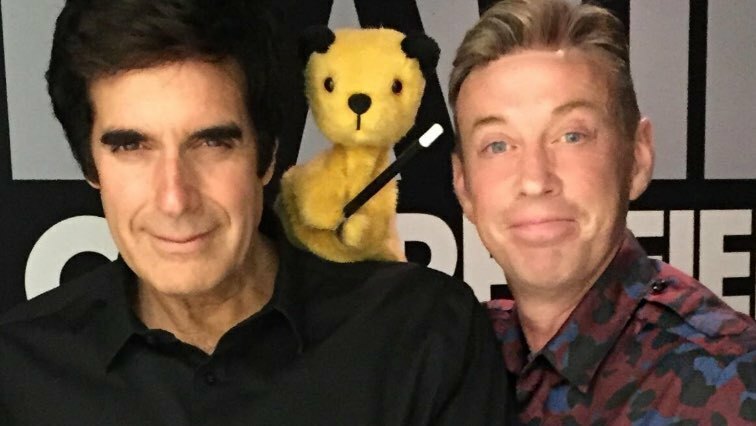 Sooty and Harry appear on TV for the first time as part of the BBCs Talent Night. 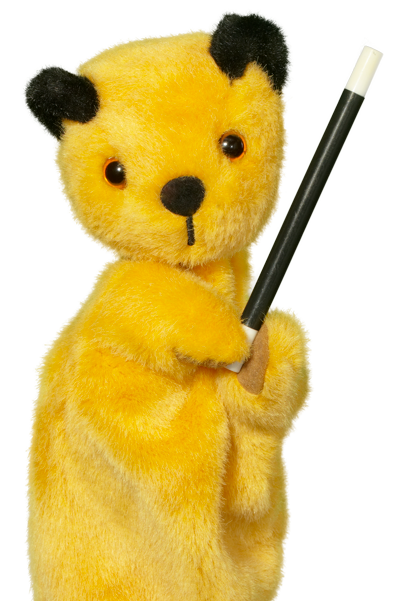 Shortly after BBC gives Sooty his own series. 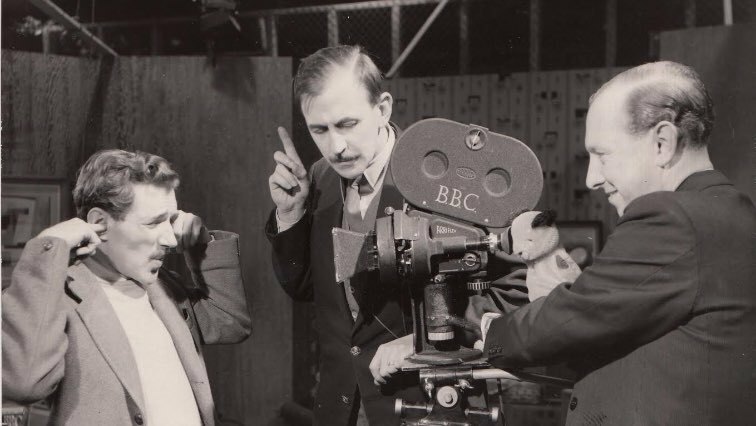 Here we see Sooty pointing the camera at his new BBC director Trevor Hill. 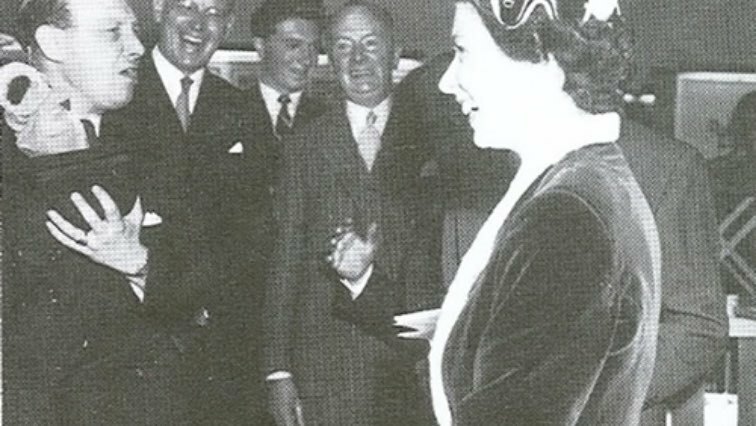 Sooty meets the Queen and Prince Philip. Sooty mischievously squirts the prince in the face with his water pistol! 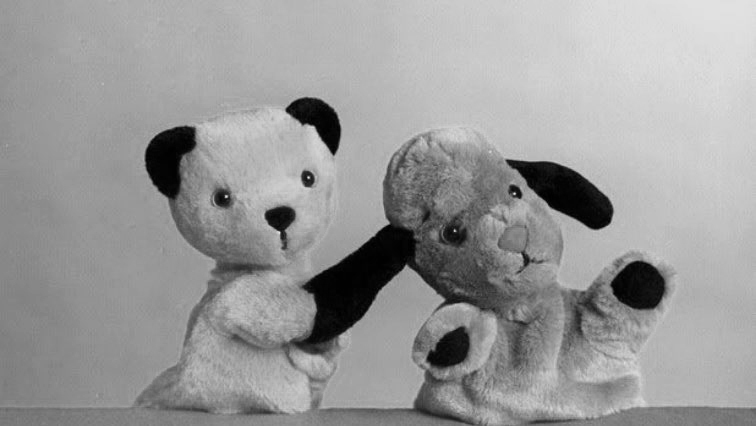 Sooty gets a new best friend - Sweep makes his first appearance. Soo makes her debut, 'assisted' by Harry Corbett's wife Marjorie. 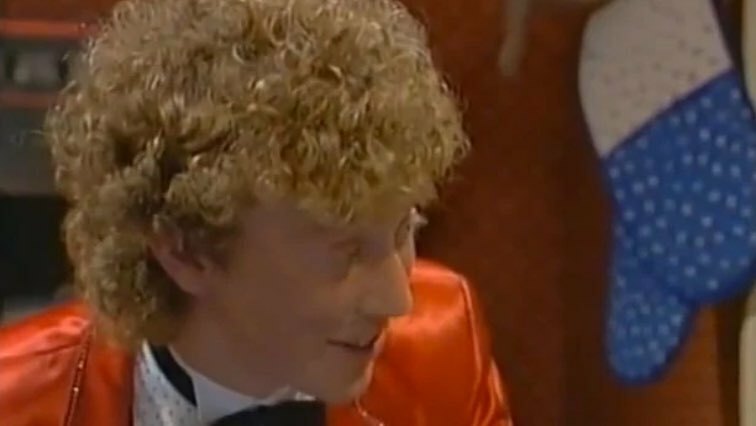 A young Matthew Corbett joins the show giving Sweep a hand. 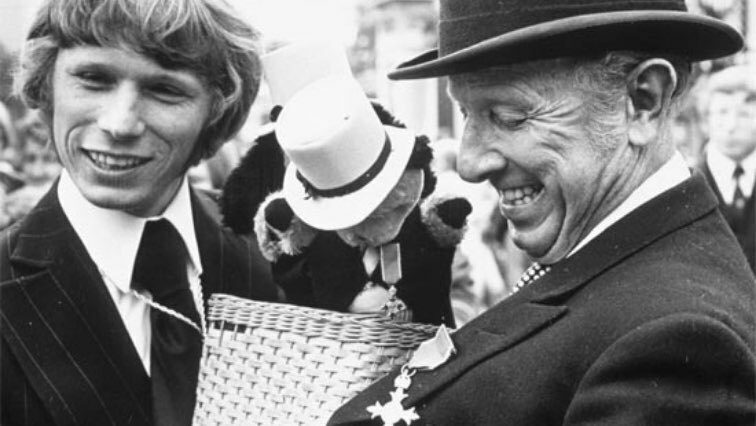 Harry Corbett and Sooty are both awarded OBEs for charitable services. A proud Matthew looks on. 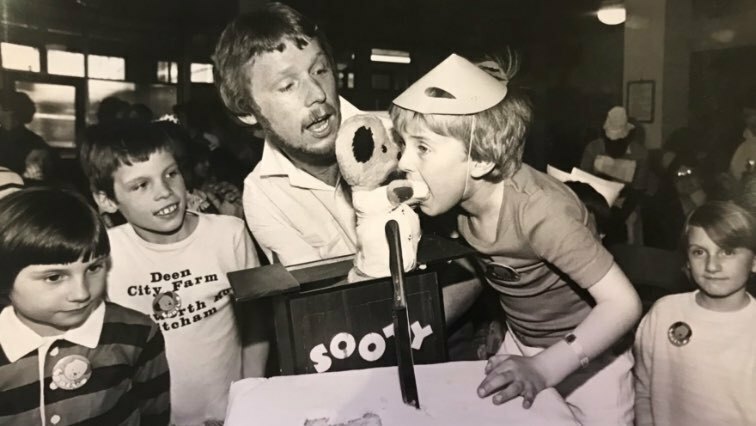 Harry Corbett's son Matthew takes over as presenter for The Sooty Show and the Show moves to ITV where it has remained ever since. Brenda Longman takes over as Soo's 'vocal assistant'. She's still in the role today! 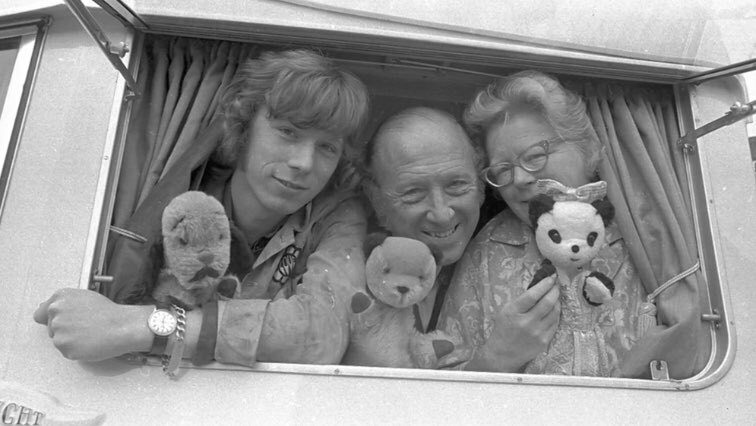 Richard Cadell makes his first TV appearance on The Sooty Show and forms a friendship with the gang that was to change his life in later years. Matthew retires, leaving the gang in (or on!) the capable hands of Richard Cadell. 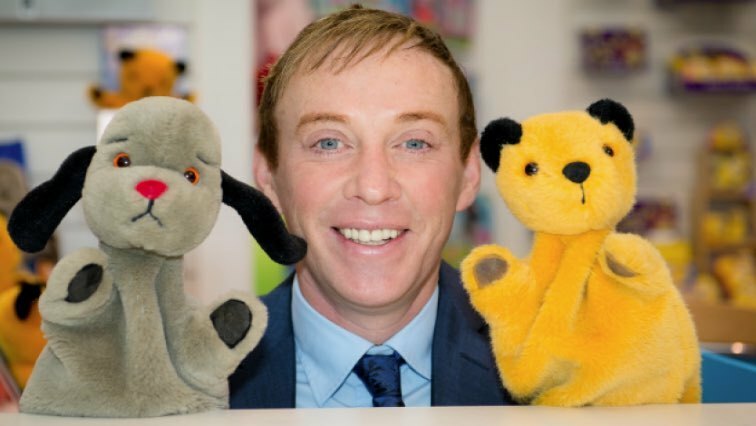 Richard Cadell purchases the rights to The Sooty Show and produces 52 brand new episodes for Citv. Here the gang are joined by Amy Childs in the episode Fitness Funatic. 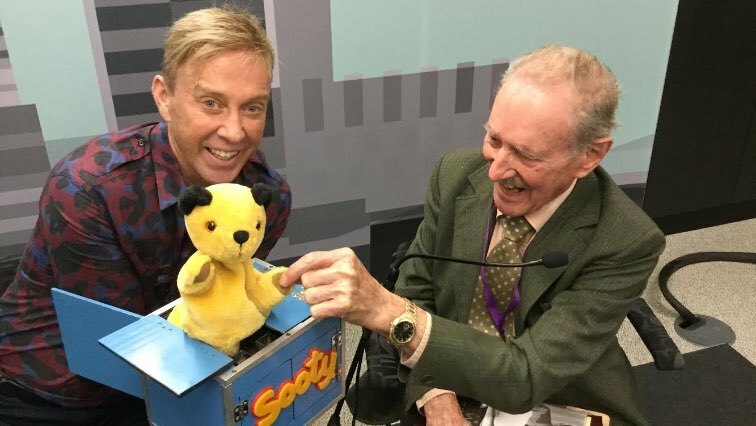 Richard Cadell is gifted the oldest surviving Sooty from Harry's original BBC Producer Trevor Hill. The show enters the Guinness Book of Records as the longest-running children's TV programme in the world. 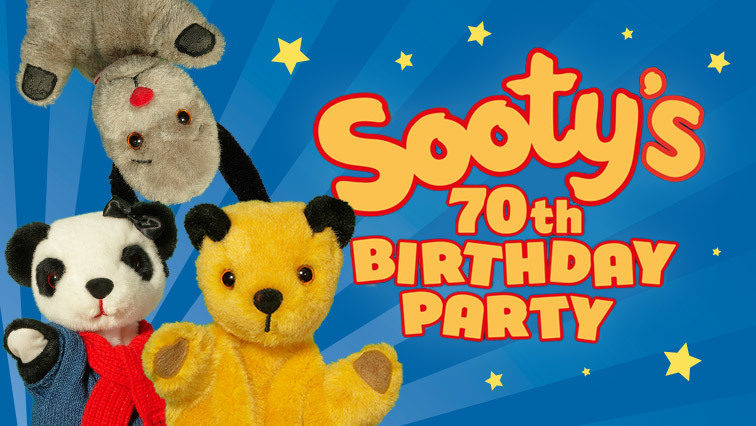 Sooty celebrates his 70th birthday with a Spectacular children's party on the North Pier Blackpool.